Since one and a half decade, induction cooktops have seen a significant surge in their demand and popularity across the globe, from Europe to America to Asia. Induction cooking has grasped the attention of both elite and commoners alike as of its wide range of benefits as compared to its counterparts. Most if not all induction cooktop out there delivers superb simmering and fast cooktop heat. Precision and power of induction come from the electromagnetic field below glass cooktop surface which quickly generates heat straight to the pan. 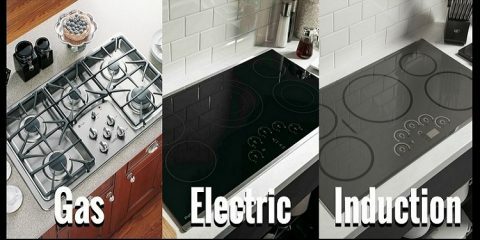 Difference between electric smooth-top and induction cooktop is that surface element of induction unit heat by using electromagnetic field instead of radiant heat. Electromagnetic heat doesn’t create the glow, so you will not be able to know it is on. That is why manufacturers are adding special lights and virtual flames as a cue. It usually heats slightly faster, i.e. 2 to 4 minutes faster to bring water to boil. Indeed that isn’t a life changer, but marginally better. When you turn on induction element with placing the pot on it, it won’t get hot, or when you remove pot for it, heating immediately stops, thus reducing energy loss. An induction surface remains cooler as compared to radiant ones, so it is easier to clean spills. Magnetic a.k.a. Induction capable cookware is required for induction to work with. When magnet strongly sticks on pot, it works with an induction cooktop. Some of the stainless steel pots are induction capable. Some aren’t. Humming or buzzing sound is familiar with induction cooking. It is usually louder at higher settings and often a clicking sound of element electronics at a lower setting. Induction cooktops are replacing traditional Gas and Electric cooktops and becoming the preferred way of cooking in the world. Because of this reason, the market is flooded with a variety of induction cooking products, and it will be worthy to collect some information on types of induction cooktops and induction stoves out there. It has a single cooking zone to place cookware and cannot prepare various dishes at a time. Typically they operate at 120 Volts and have a maximum wattage of 1800 Watts. They are incredibly portable, comparatively less costly and usually used in tandem with other cooking units. Single element induction cooktops are used for limited cooking. Like the name, they have multiple elements or multiple cooking zones to keep many cooking wares and cook several different dishes simultaneously. 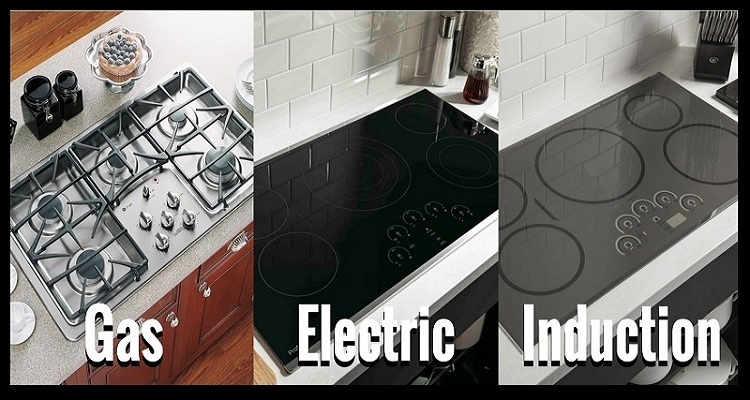 When anyone chooses multiple element cooktops, they intend to replace their existing electric or gas cooktop. Multi-element cooktops are comparatively more expensive and less portable because they need more space and installation work. Moreover, as they are meant for simultaneous cooking, the power rating is also higher as compared to single element units, i.e. up to 3600 Watts and it operates at 220 Volts. Built-in units are integral multi-element built-in cooktops. They come in different dimensions depending on cooking zones and number of elements. Usually, they are placed or fitted into cut-outs customised depending on their countertops size. They can correctly be installed to look like the part of countertop and looks stylish. They must be carefully placed and fitted correctly in the level of the countertop if customisation cost required for their installation, buying and installing them is also a very costly affair. Freestanding type doesn’t need a countertop. 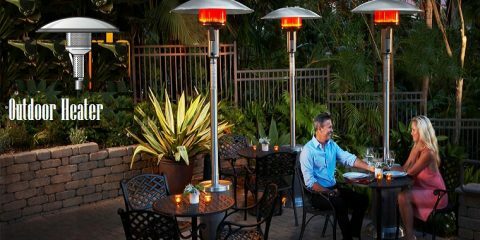 Usually, they are paced between countertops however also used outdoor. They are multi-burner and include single or multiple ovens below induction top. Freestanding units give freedom of movement because they don’t need any significant changes in your kitchen layout. These units are best for those living in rented houses like students and people who like outdoor cooking. Depending on the use they are available in different power ranges. Commercial induction cooktops are much rugged in construction because they need to withstand heavyweights as well as lousy handling for a more extended period. Additionally, their power ratings are kept higher so that they allow many items in larger quantities in less time. They feature electrical circuits with better mechanical protection to prevent accidental mishaps. Although they lack wow factor and shine, but offer value for money. Nowadays you can find a plethora of induction cooktops from different brands. However irrespective to brand names, models, types and versions, they work on electromagnetic induction principle. No matter what type you prefer, they score heavily to other counterparts, regarding cooking speed, ease of use, safety and energy consumption. When all these power combined they become the most environmentally friendly and money saver cooking units on planet earth.